Have you ever seen those wire wrapped skeleton keys or something similar? I wanted to give one of those a go, so I started by drawing out a design on paper. Nothing too complicated for my first attempt. 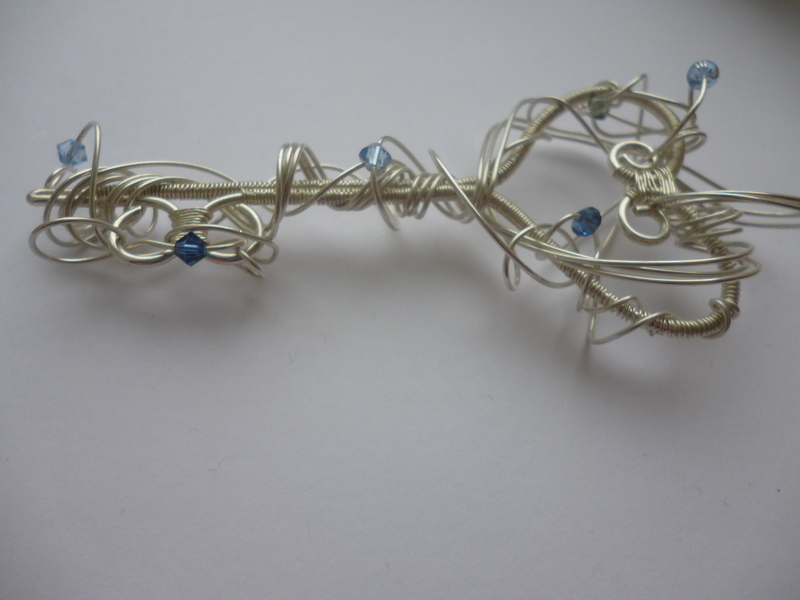 After I drew the design, I started by cutting out the base 1.50mm wires and shaping them. Symmetry is not my forte but it was as close as I could get it. 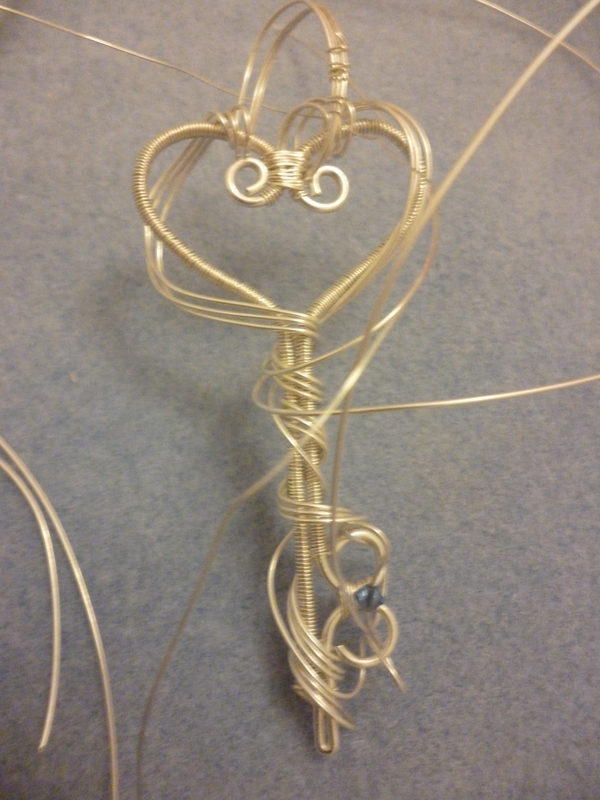 Then I wrapped most of the wire with 0.40mm wire. 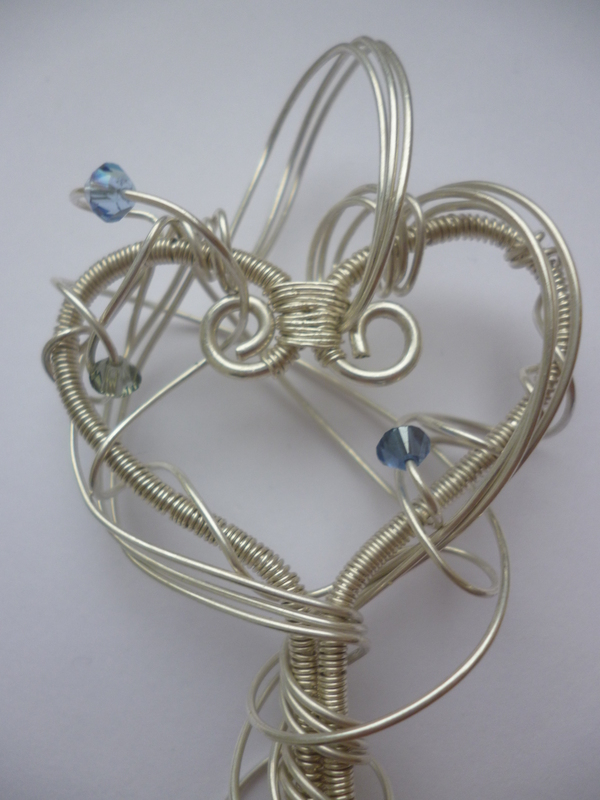 When each separate part was wrapped, I then wrapped more wire to keep the two wires together. 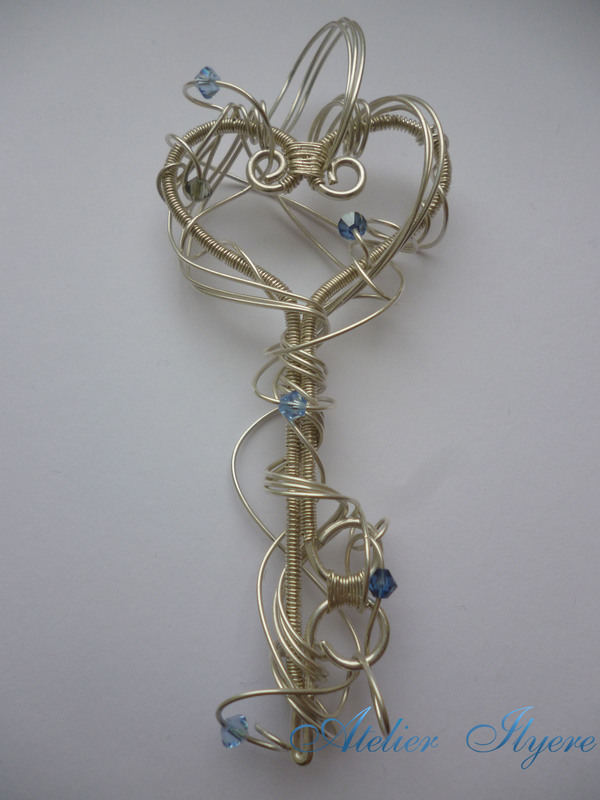 This forms the main key, but I felt that by itself, it could do with some more decoration. I bundled three pieces of really long 0.80mm wire together and started a loop near the top of the key, so that I could hang the key on a chain. 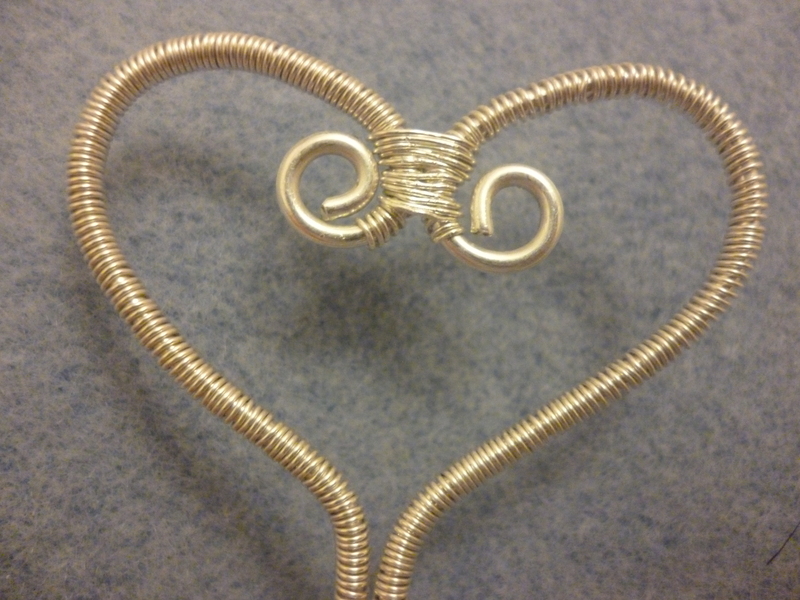 From there, the wires went freeform around the key. Sometimes I would put some Swarovski crystals on as well. Where possible, I would loop wires around so that they stayed in place. I also added extra wires around the top of the key because I thought it wasn’t busy enough. 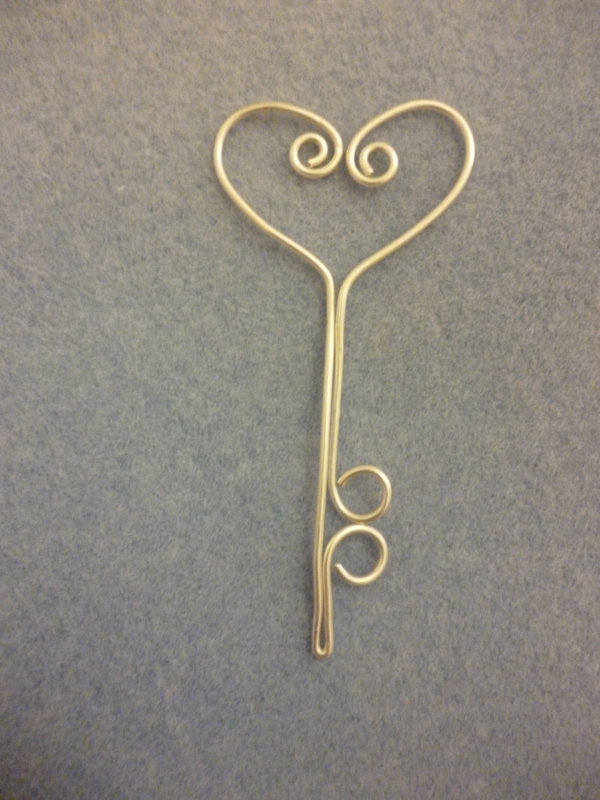 I really like this key and I have plans to make more. I will try to make one that has a large stone for a focal point. 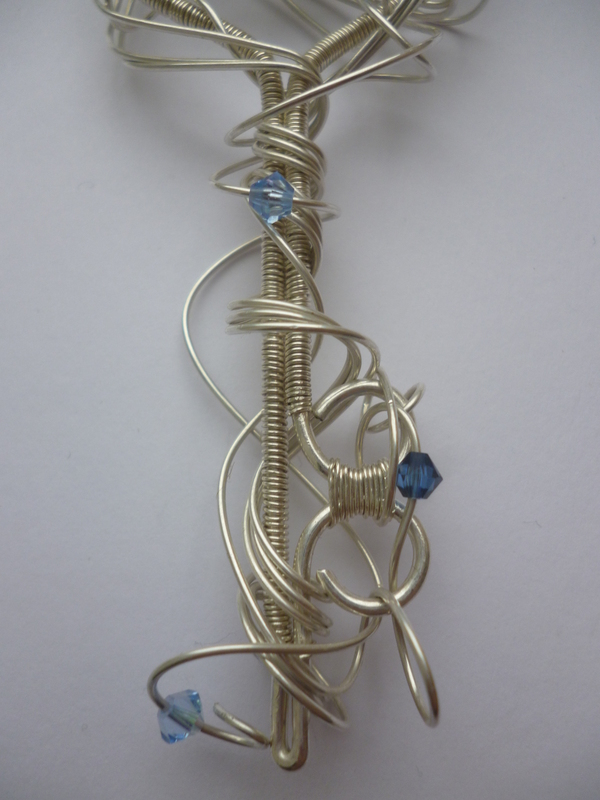 This entry was posted in Jewellery, Pendants, Process, Swarovski, Wire and tagged Blue, Jewellery, Key, Pendant, Silver, Sterling, Swarovski, Wire. Bookmark the permalink.